i am in heaven today! 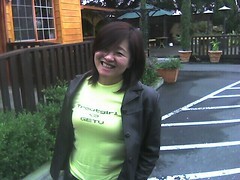 troutgirl is wearing a tshirt she got from zazzle about how much she hearts GETV! i cant wait to interview you her. now if only i could get on CSI.....way to go amanda! dont forget GETV party on feb 16! see you there....house of shields 8 pm. plus, the special rick abruzzo $25 Pyramid Game with celebrities and tshirts.